This clearly looks like a made for TV cop drama; Despite its strong concept, the talent involved fail to do it justice. Inspector Phyllis Webber devotes so much of her time and energy into her job, that her marriage suffers inevitably leads to divorce. Scared of loosing custody of her teenage son and unable to afford a deceit lawyer, she turns dirty. Unfortunately, the characterization is poorly executed, causing the plot to plod along and weakening the film's tension. 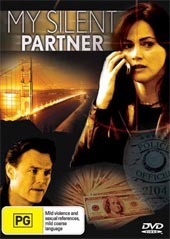 My silent partner isn't a bad movie per say however it is frustrating to see a good idea handled badly.